Following its most recent test-fire of an intercontinental ballistic missile on July 28, the communist regime of North Korea has taken to the global stage to announce that it apparently now has the capacity to hit potential targets anywhere in the United States. 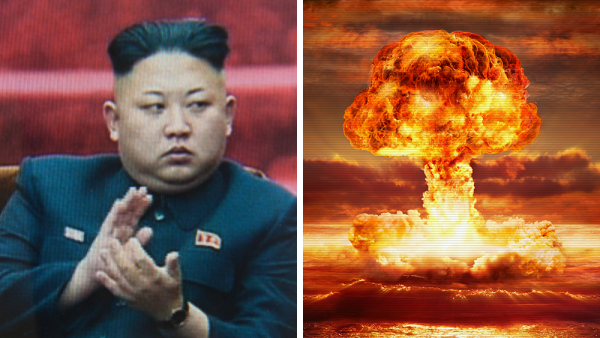 Kim Jong-Un reportedly issued a challenge to President Donald Trump after the test, warning him that North Korea’s advanced weapons technologies can now strike “at any place and time,” including locales as far away as New York City and Washington, D.C. Under Kim’s leadership, North Korea is said to have been working tirelessly for many years to develop a nuclear weapon powerful enough to traverse the Atlantic Ocean and hit targets in North America. Since February, North Korea has successfully engaged in 12 missile launches, including both short- and intermediate-range missiles. But the last two launches have apparently involved missiles with intercontinental range – a first for the regime. As relayed by the Korean Central News Agency (KCNA), Kim’s intent with the latest launch was “to send a grave warning to the U.S.” Speaking directly for Kim, this government-run news agency also indicated that its “leader said proudly the test also confirmed all the U.S. mainland is within our striking range,” a direct threat to both the U.S. and its allies. Experts evaluating the situation say that the most recent missile launch by North Korea is much more ominous than the one it performed on July 4. As compared to the liquid-fueled, KN-14 / Hwasong-14 intercontinental ballistic missile launched on the day of America’s independence celebrations, the July 28 launch demonstrated a theoretical range of about 10,000 kilometers, or 6,200 miles. Based on this, it is believed that North Korea could potentially reach targets on the East Coast. “North Korea seems to have made a logical step forward, as it tries to perfect the technologies to build and field an operationally-viable ICBM that can threaten the mainland United States,” warns Michael Elleman, a missile defense specialist at the London-based International Institute for Strategic Studies. Others like Kim Dong-Yub, a defense analyst at the Institute for Far Eastern Studies at Kyungnam University in South Korea, seem to agree. If North Korea has, indeed, succeeded in miniaturizing its warheads down to a size of about 750 kilograms, or 1,650 pounds, then it might be possible that Kim Jong-Un’s threats are worthy of consideration. U.S. Secretary of State Rex Tillerson also commented on the latest missile launch, claiming that North Korea isn’t solely responsible for this developing threat. He also condemned Beijing and Moscow for bearing “unique responsibility” in allowing it to happen. Declaring both Russia and China to be “enablers,” Tillerson plans to work with U.S. allies to put “the heaviest possible pressure” on North Korea in response to its repeated violations of United Nations sanctions. “We confirmed that we will closely cooperate in adopting a fresh UNSC (UN Security Council) resolution, including severe measures, and working on China and Russia,” Japanese Foreign Minister Fumio Kishida told the media following talks with Tillerson about how best to proceed.